Today we are pleased to announce the public release of our next generation IMU, Aspirin! After a lengthy research, development, and testing period we are now happy with the hardware and the software drivers for this unique IMU. It is incredibly small and light, three digital sensors packed onto a single 19x14mm PCB. The footprint allows you to integrate it into your own designs too. 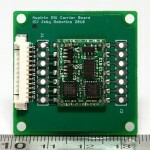 We are also making it available via a carrier board for drop in use on Lisa/L. Besides its small size Aspirin is cheaper then the Booz IMU you already know. The use of all digital sensors reduces size, cost and complexity while simplifying calibration. Aspirin provides 9 degrees of measurement (DOM): 3 axis linear acceleration, 3 axis angular velocity, and 3 axis magnetic field measurement. This IMU is ready for the next generation Lisa/M autopilot that we wrote about before. The module fits directly on Lisa/M without the need of a carrier board. 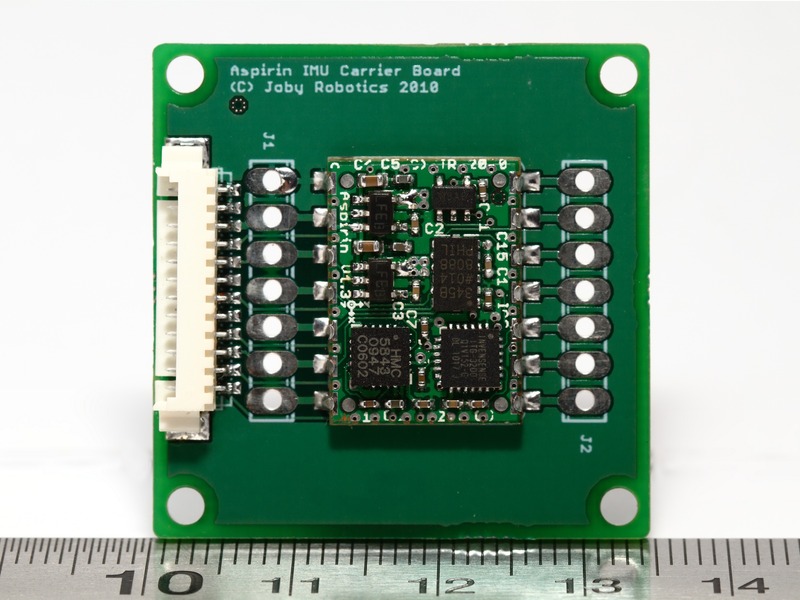 We did not add an MCU on the board to save space, reduce cost, and improve latency behavior when connected to an autopilot. You have direct access to the sensor busses. Aspirin uses the latest generation of Invensense 3 axis MEMS gyroscopes. IMU-3000’s advantage over other sensors (such as ITG-3200 found in similar IMU designs) is its selectable range. Selectable range allows the user to obtain maximum resolution and optimum performance, depending on vehicle dynamics and desired flight mode. No longer will it be necessary to limit vehicle dynamics to 300º/s, as Aspirin’s gyroscopes have a range of up to 2000º/s.